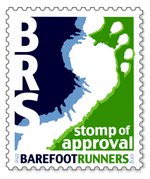 Would you like to hang with a group of really nice people and learn more about barefoot running?? 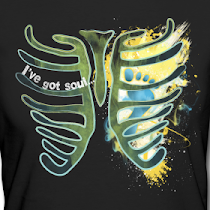 Here is your chance!! 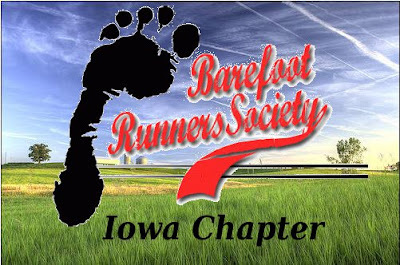 One of my duties of being the Iowa Chapter President of the Barefoot Runners Society is to organize meetups for Iowa barefoot runners. The next scheduled meetup is on Saturday September 17th! We meet at 10:00 am when the ground is warm but not too warm and people have had a chance to travel if you are coming from around the state. This months gathering will meet in Des Moines at Mullets bar and grill. We run from Mullets down the lovely paved bike path to Grays Lake and back and then anyone is welcome to stay for a sit down and chat afterwards. Everyone is welcome!! Friends, family, shod runners, and barefoot runners. Its really about learning from each other and having good time!! Remember to bring your regular running shoes to carry with you in case you need to slip them on if you are new to barefoot running. Check out our Facebook page as well as the Barefoot Runners Society Page where you then can sign up to join the Iowa Chapter.